Daniel Patte argues here that when male European-American scholars interpret the Bible to produce a universally legitimate reading, they silence the Bible itself. Their reading practices exclude feminist, African American, and other so-called "minority" readings, as well as the interpretations of conservative and liberal laity. 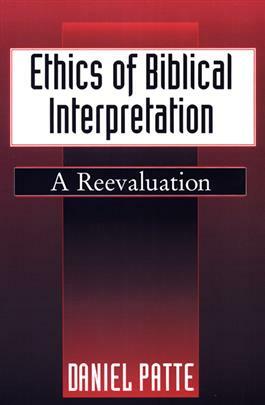 He further claims that ethical accountability requires recognizing that all exegesis consists of bringing critical understanding to ordinary readings, especially faith interpretations. Patte concludes that biblical studies must affirm the legitimacy of diverse ordinary readings and lead to an open discussion of the relative value of these readings.